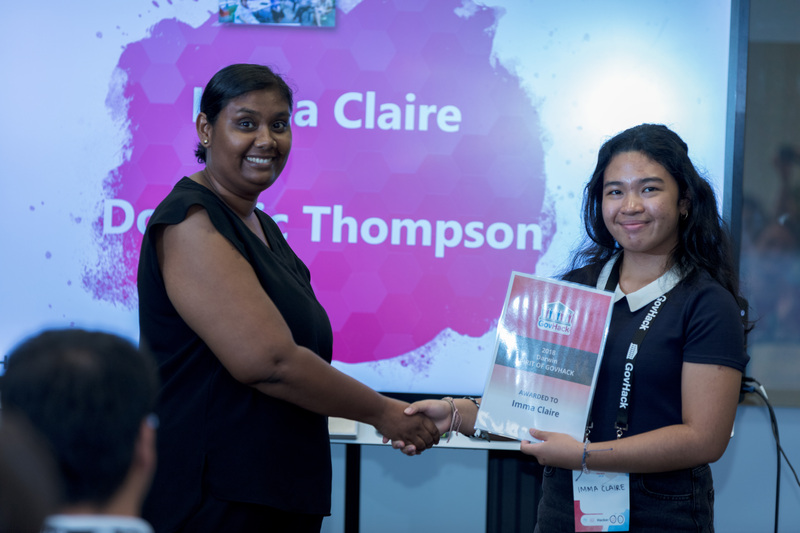 Casuarina Senior College students, participating in an Australian government funded pilot program (P-TECH), won two awards at the recent GovHack competition based on a STEM-focussed project to enhance Darwin's liveability. 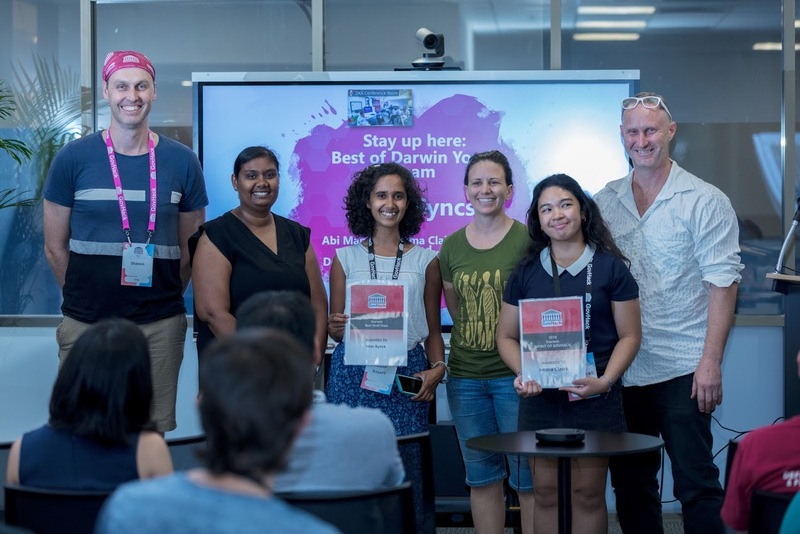 The students walked away with both the Spirit of GovHack Youth Award and the GovHack Youth Team Award, and Justin won the Spirit of GovHack Award. 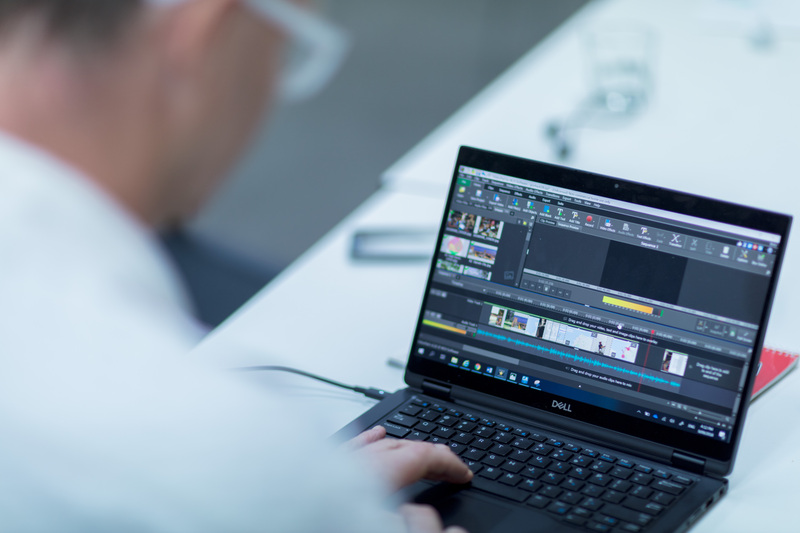 GovHack is an annual Open Data competition held across Australia where, over 46 hours, teams create a proof of concept and a video that tells the story of how government data can be reused. The “Darwin Heatsync Project” involves using heat sensor technology to help make Darwin a cooler, healthier and more connected city. Dominic and Imma Claire are building heat sensor technology, placing these sensors at key public spaces across Darwin, and through GPS tracking, monitor, in real time – from the classroom – local temperatures throughout the day at each location. They take existing open data sets such as car parks, bike paths, tree cover and the greater Darwin map, and overlay it with this new data. Currently, six groups of First Year students, including Imma Claire and Dominic, are piloting the Top End P-TECH program. Facilitated by Skilling Australia Foundation, Casuarina Senior College is the only school in the Top End funded to deliver the program. For more information, see our Top End P-TECH page. This couldn’t have been made possible without the generous support of Inspired NT, who helped to provide equipment, materials as well as mentoring support.